Our proprietary blend of Natural oils and extracts specifically formulated to address the appearance of cellulite. 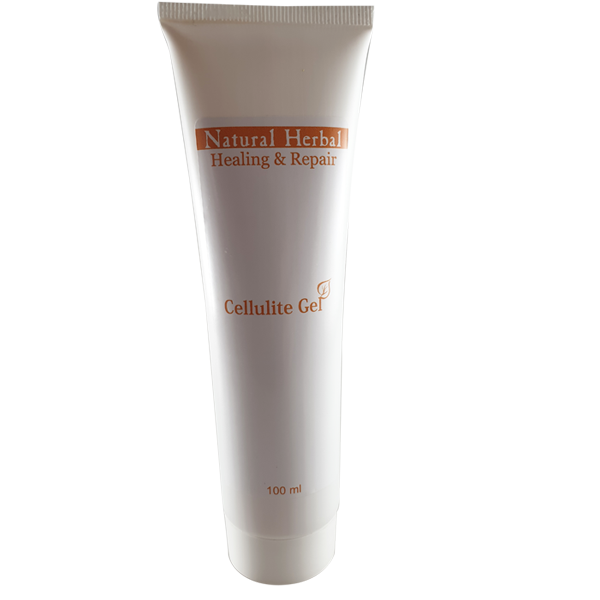 Healing & Repair Range Cellulite Gel contains Capsicum Fruit extract which is high in antioxidants and anti-inflammatory agents which assist in the reduction of free radicals in the skin known to cause ageing. Algae extract have been included to hydrate and soften the skin whilst replenishing the nutrients, increasing cell regeneration and formation of elastin, and thereby enhancing the youthful appearance of the skin. A blend of Ruscus Aculeatus Root Extract, Astralagus Extract, Goldenrod Extract and Lemon peel Extract increases blood circulation to the skin, reduces oedema and skin swelling and has further antioxidant benefits which draw toxins out of the body ensuring healthy skin. This blend of natural extracts further cleans, softens and tightens the skin. It also functions to unclog pores, boost collagen production, reduce the appearance of fine lines, increases the speed of cell turnover and evens out skin discoloration and texture, thereby enhancing the overall health and appearance of the skin. Use the fingertips to apply to the desired areas. Massage continuously until well absorbed. Do not remove. This product will cause a heating effect on the skin. Reduces the appearance of indentations caused by cellulite.